Mum and I did a little mini paper doll dress swap with Karen and Catiean. Both girls dresses arrived within days of each other. 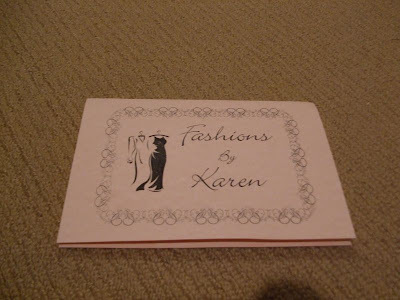 Here's what Karen sent, look at this gorgeous card she made, its so elegantly vintage. Inside the card was the sweetest dress she made for me. Its so dainty and delicately made. 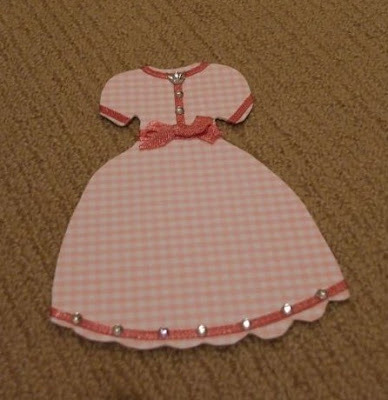 Pink gingham trimmed with contrasting pink ribbon and clear rhinestones. 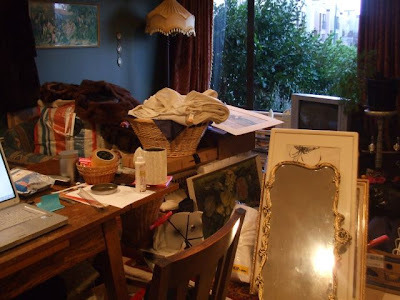 Shabby, shabby chic! 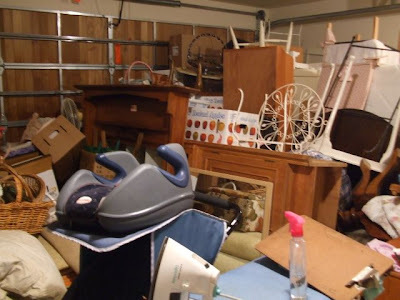 One of the many swaps I signed up for in the short time I have been 'blogging' was the Vintage Kitchen Swap hosted by Garb-oodles Soup. My partner was Barb at 123 lavender lollipop lane. Barb and I exchanged information about our kitchens and our likes etc. Last week my parcel arrived from Barb. It's so exciting getting a parcel from overseas and not knowing what's in it. Fairy Princess, Rosey Days Ahead and Thrifty Times! It was a busy weekend, we had family visit for lunch yesterday which was so much fun and a welcome break from being up a ladder with a paint brush! 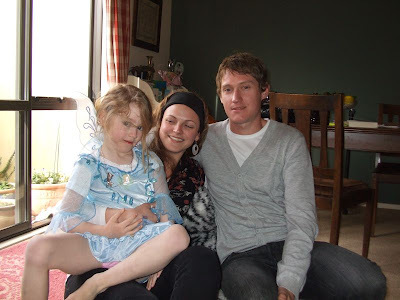 Here is Stella with our visitors sitting on the bean bag they gave her for her fourth birthday. I have got so much to share today and loads of pics! 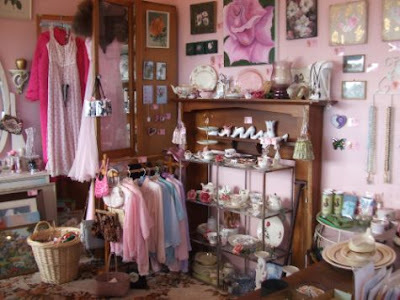 Anyway, first up is the shop, I have now emptied it, stashed it into our house as you are about to see and started organising for the new shop. I have gone from this . . .
To this . . . WARNING - SCARY PHOTO'S COMING UP . . .
and this which is supposed to be our 'Grown Up' room . . . Exciting News . . .